Originally, Hulu Plus cost $9.99; current subscribers who joined during the preview period will receive a credit for the difference. (Mashable) -- Hulu's premium service Hulu Plus, which launched as a preview in July and recently opened up to everyone, is now out of testing period and has a new price tag of $7.99 per month. Hulu Plus gives subscribers access to all the episodes in a season of popular shows such as "Glee," "House," "The Office," "Modern Family," "30 Rock," "Grey's Anatomy" and others. It also lets subscribers watch the shows on devices such as the iPad, iPhone, PS3 and (newly added) Roku, with support for Xbox 360, TiVo Premiere DVRs, and many Internet-enabled HDTVs, Blu-ray players and media centers coming in the following months. 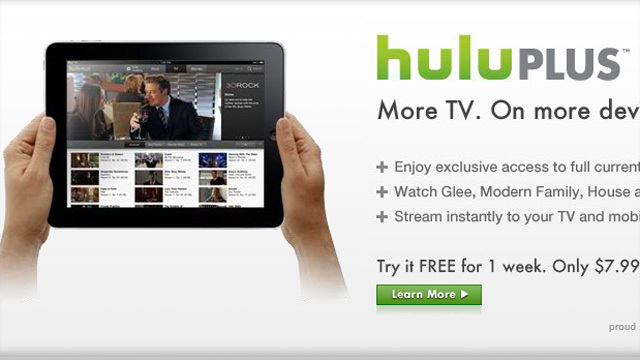 Recently, Hulu shared some impressive stats: 30 million users and an estimated $240 million in revenue in 2010. The price drop for the Hulu Plus service, however, probably means that interest from subscribers was lacking; we'll see how the service will do at the lower price point.